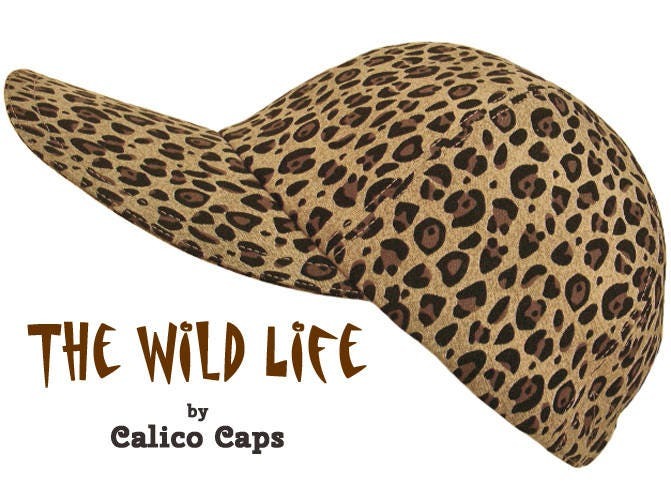 This baseball cap is called "The Wild Life"..... A classic leopard, jaguar, cheetah print. 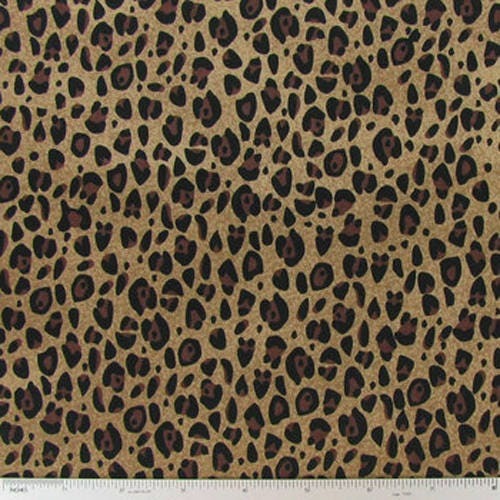 Brown and black spots on a textured, grainy-looking tan/taupe background. Matching tan top-stitching, black grosgrain inner band on the black cotton sateen lining. Also available in the regular One Size Fits Most style and in Size SMALL in other listings. 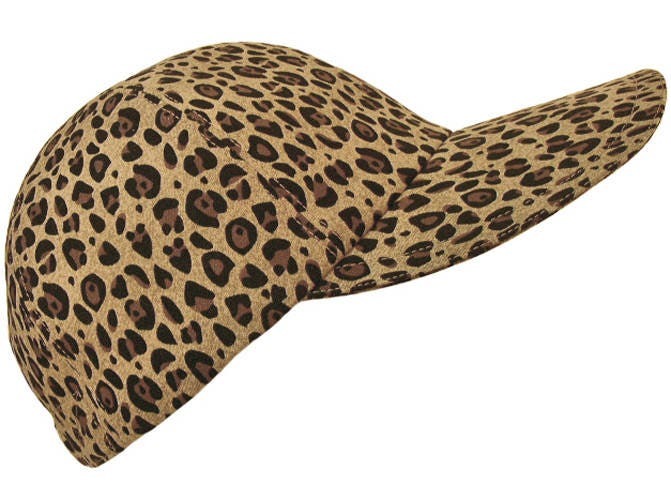 The classic 6-panel design is nicely rounded for a more flattering look and beautifully lined in an elegant, cotton sateen fabric. 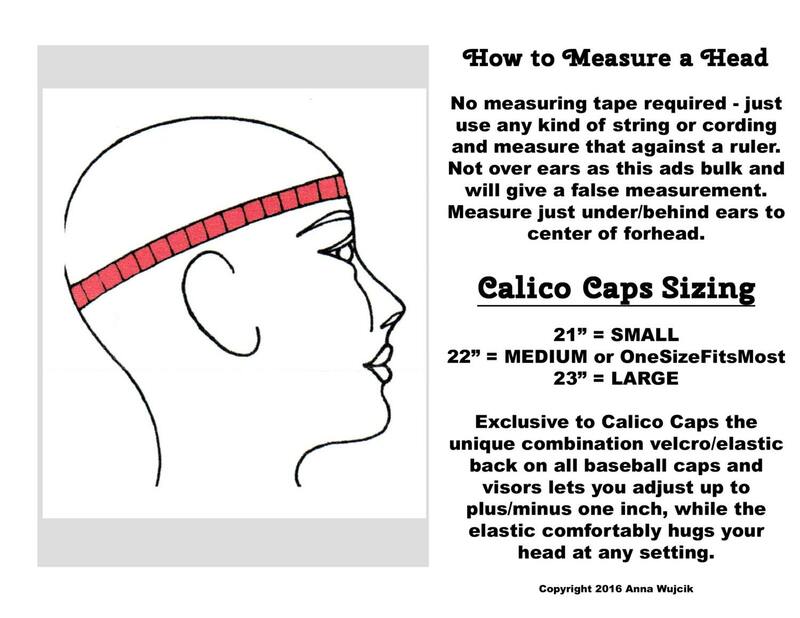 Single layers of interfacing on the dome pieces give Calico Caps a soft and comfortable shape. 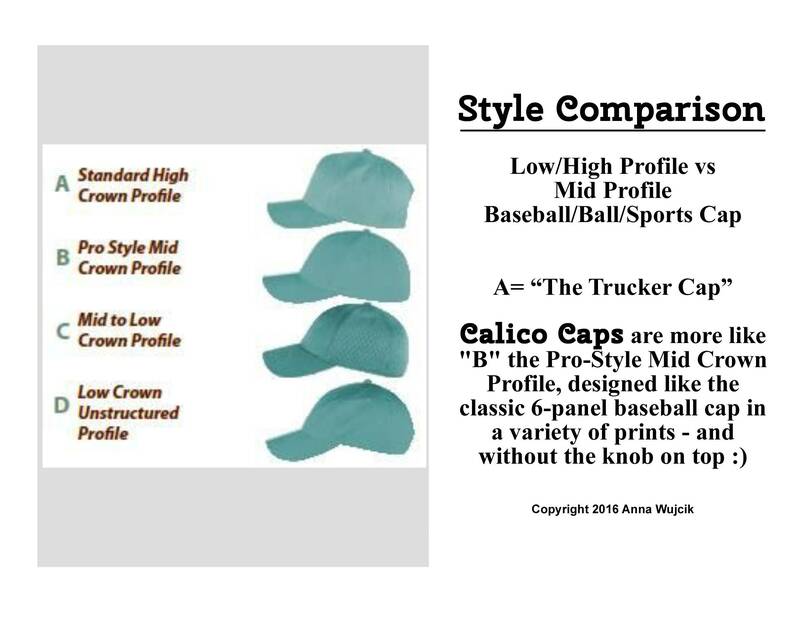 Decorative, detailed topstitching everywhere - reinforced at stress points - CALICO CAPS are made to last!